Your firm’s financial future is looking brighter already! In 2017 alone, 4L has partnered with 66 law firms across 33 states, and produced 110,000 invoices at a value of $295,000,000. How can we help you? Want to learn more about how you can improve your back office management in order to help increase your firm’s efficiency? 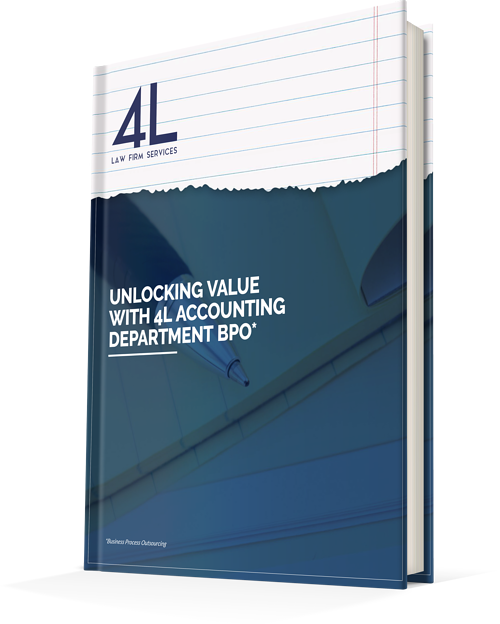 Fill out the form now to download our free whitepaper, Unlocking Value With 4L Accounting Department Business Process Outsourcing (BPO*).